The Tale of Princess Kaguya, Studio Ghibli's film that is finally making its way to a wide release outside of Japan with an English dub, and the English trailer has now been released. The Tale of Princess Kaguya was originally released in November of last year, and it was Ghibli's second to last film released before the temporary closure. 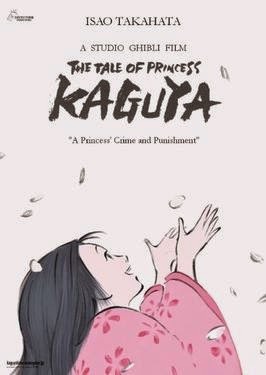 The Tale of Princess Kaguya is based on Japan's oldest known narrative, The Tale of the Bamboo Cutter, and it is directed by Ghibli legend Isao Takahata, who has directed films such as Grave of the Fireflies, Pom Poko, and My Neighbors the Yamadas. From the trailer, it is clear that the film is taking a visually different style than most other Ghibli films, with a style more akin to My Neighbors the Yamadas. The English dub cast includes Chloë Grace Moretz, Lucy Liu, and James Marsden. The film is set to be released on October 17, 2014. What do you think of the trailer? Are you excited to see the film? Please comment below and let me know.